Believe it or not, it’s time for many little ones to head back to school. I watched my little guy walk in to his first day of 3rd grade just this morning. It seems completely unimaginable that the summer is over. We try our best to pack just as much as we possibly can into the few months we have, but somehow it never seems like enough time. With the return of school, after school activities also start back up. That leaves us all searching for quick and easy weeknight meals so we can get supper on the table without a lot of hassle. Because regardless of the time constraint, it’s still super important for us to sit down to supper together every night. 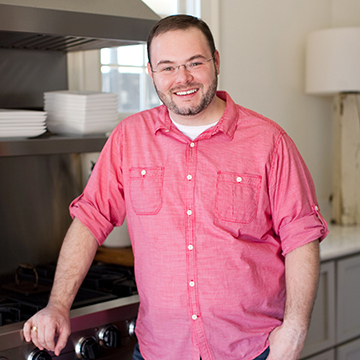 I often turn to one-pan, one-pot, and slow cooker meals to fit the bill. I love a good sheet pan meal where everything cooks on one pan all at the same time. And there’s nothing like walking in the door to the smell of delicious food just waiting for you in the slow cooker. 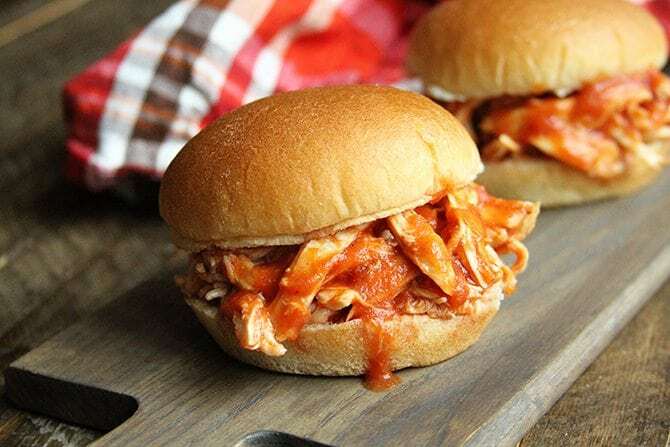 That’s why I love this Slow Cooker Sloppy Joe Chicken. It only calls for 2 ingredients and can be served on buns, like shown here, or even over rice. I often hear of folks who shy away from chicken slow cooker meals because of the “dry” or “mealy” chicken that often results. The trick is not overcooking it. Boneless, skinless chicken breasts typically only need about 4 hours on low in the slow cooker to be perfectly tender and moist. Even in all this sauce, you’re going to end up with mealy chicken if you cook this for 8 hours. Most slow cookers will switch to warm after the cook time so that’s best to use on something like this, though it still will continue to cook some even on warm. If there’s a way to make it work for just 4 hours, that’s really your best bet. 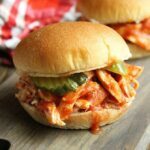 Y’all try this super easy Slow Coker Sloppy Joe Chicken. 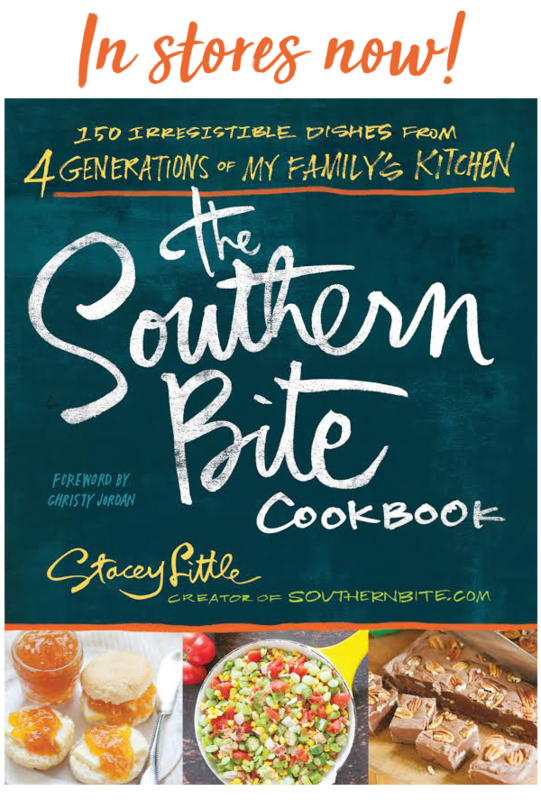 I know your family will love it and they’ll love you for it! Y’all enjoy! 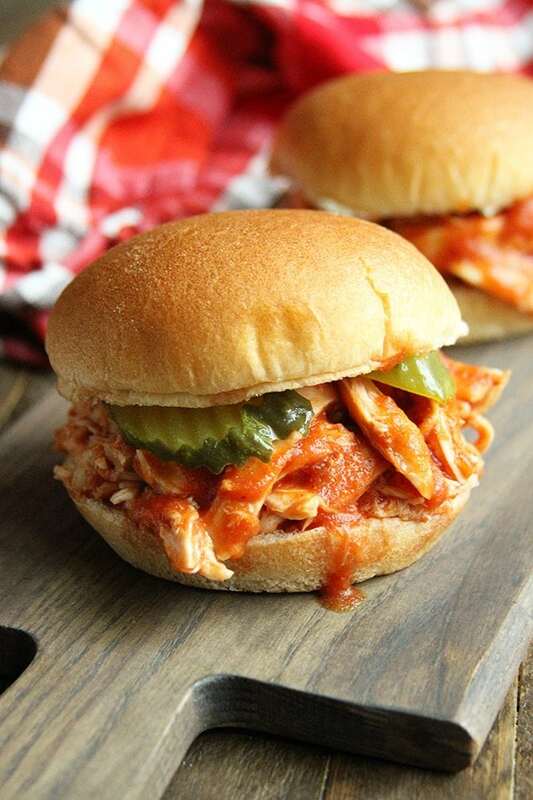 This Slow Cooker Sloppy Joe Chicken recipe only calls for 2 ingredients and gets supper on the table with absolutely no fuss! Lightly spray your slow cooker crock with nonstick cooking spray. Pour a few tablespoons of sauce into the bottom of the slow cooker crock. Add the chicken and pour the remaining sauce over the the chicken. Place the lid on and cook on low for about 4 hours. When ready to serve, remove the chicken and shred. Return the chicken to the slow cooker and mix with the sauce. Serve on buns, over rice, etc. When I make sloppy joes, I use the dry mix in a packet, a can of tomato paste and water, per the instructions on the packet. (I don’t use the Mannwich because it has peppers in it and we heartily dislike them.) Can I use the packet and those ingredients to make this? Absolutely! That will work just fine with this. Thank you! Can’t wait to make this! How about using chicken thighs? I am giddy wild over this simple and delicious dish. So tickled you shared…I will be sharing it also. Was never the biggest sloppy joe fan, but this chicken twist certainly has my attention. Yes, I prefer using fresh chicken in the slow cooker. 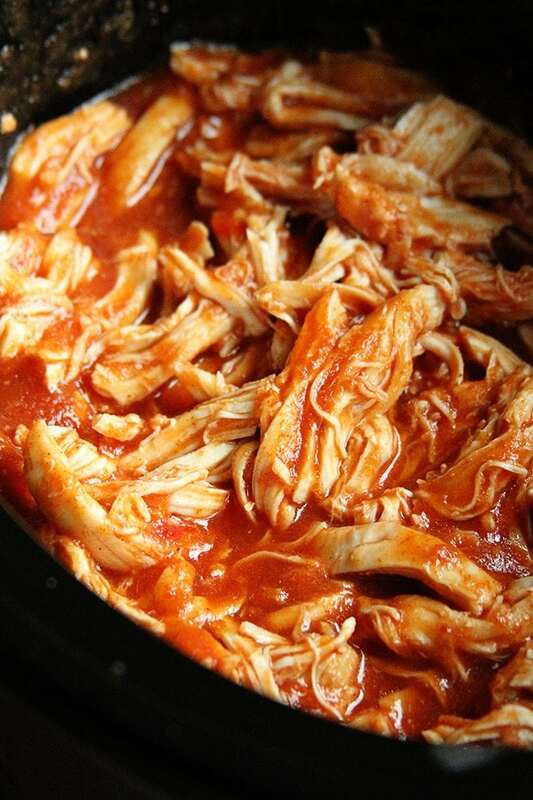 Most chicken can be cooked in the slow cooker in 3 to 4 hours. Cooking it longer can make it super mealy. I sure hope this gives you a little more freedom for using this kitchen workhorse appliance!